What are IP Pools and vApps? While navigating in the vSphere client the other day I noticed a new tab. 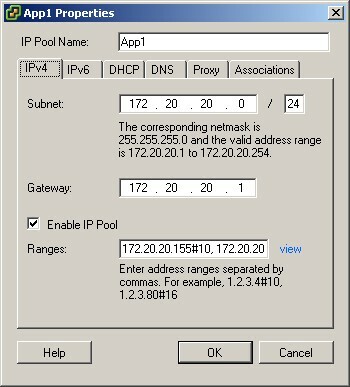 When selecting a Datacenter object, a tab called IP Pools appeared. When clicking on this tab you had the option to view and add IP Pools. Having never seen this before my first thought was, what are IP Pools? 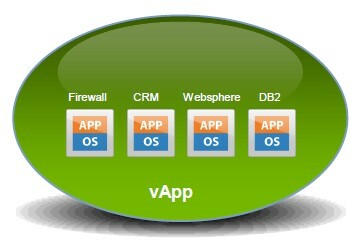 After doing some research I found out they were part of the new vApps feature in vSphere. I’ve heard a little about vApps but never looked at them in depth, so I thought I would take the time to research them and write about them. A logical entity comprising one or more virtual machines, which uses the industry standard Open Virtualization Format to specify and encapsulate all components of a multi-tier application as well as the operational policies and service levels associated with it. A vApp is basically a resource container for multiple virtual machines that work together as part of a multi-tier application. 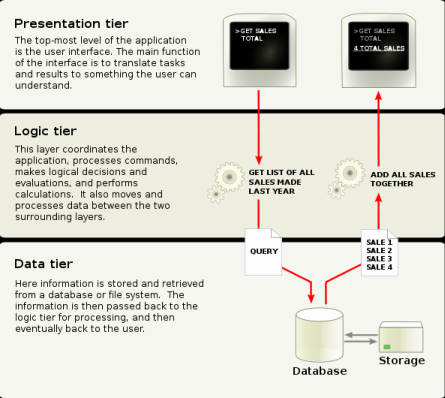 An example of a multi-tier application is a typical Web-based application where you might have three tiers: Web, application and database; which are often run on three separate servers. For example, you may have Microsoft IIS running on one server (tier 1), IBM WebSphere running on another server (tier 2) and a Microsoft SQL Server running on a third server (tier 3). The three applications on each server all work together and are mostly dependent on each other for the application to function properly. If one part of the tier became unavailable, the application will typically quit working as it relies on all the tiers for the application to work. Virtualization can introduce some challenges with multi-tier applications. For example, if one tier is performing poorly due to resource constraints on a host, then the whole application will suffer as a result. Another challenge comes when powering on a host server, as often times one tier relies on another tier to be started first or the application will fail. VMware introduced vApps as a method to deal with these problems by providing methods for setting power-on options, IP address allocation and resource allocation, and provide application-level customization for all the virtual machines in the vApp. When you configure a vApp in vSphere you specify properties for it, including CPU and memory resources, IP allocation, application information, and start order, as shown below. Once you are done configuring a vApp, you can add virtual machines (VMs) to it by dragging them using the vSphere client. You can also create resource pools inside of them and nest vApps inside of vApps. If you edit the settings of a VM, select the Options tab, and then select vApp Options, you can enable the vApp functionality for the VM and set individual vApp options for the VM. Once you have created a vApp you can easily export it in Open Virtualization Format (OVF) format, as well as deploy new vApps from one that are already created. To use vApps you must have a Distributed Resource Scheduler-enabled cluster; all of the meta-data information for a vApp is stored in the vCenter Server database. So now that you know what a vApp is, back to what IP Pools are. IP Pools, as you might have guessed, are pools of IP addresses that you can associate with vSwitch port groups. They essentially act as Dynamic Host Configuration Protocol (DHCP) servers to assign IP addresses from the pool to a VM, so essentially the vCenter Server is acting as a DHCP server. When you configure an IP Pool you specify a range of either IPv4 or IPv6 addresses, DNS and proxy settings, and finally select which vSwitch port groups that the pool will be available to. Once you have an IP Pool configured, you can assign it to a vApp by editing its properties and changing the IP Allocation Policy from Fixed to Transient. For more information on configuring and using vApps and IP Pools check out the resources below. I created a vApp and IP pool on the datacenter where the vApp is. 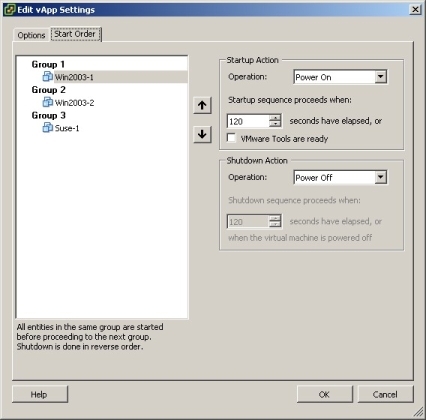 Then I chose Transient option under vApp properties so that the IP addresses are automatically allocated at power-on. I added 2 vms to the vApp and when they are powered on they dont have an IP set. What am I doing wrong?